How much will the business mentoring session cost? We offer to our clients an initial free mentoring session of one and a half hours at no cost except for travel expenses. Norwich - within a 10 mile radius of Norwich city centre £5, over 10 miles £5 plus 30p per mile with the cost being agreed before visit. London - £7 within TFL zones 1 -4, travel outside zones 1-4 to be advised and agreed before visit. 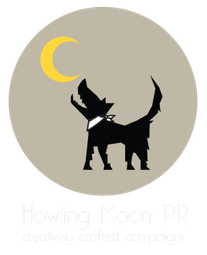 Payment of travel costs to be made at the time of visit and will be fully refunded if you decide to use Howling Moon PR services. Can I have further business mentoring after the free one? Yes, following the first session we will give you our opinion as to whether or not we can assist you further. If you decide to use the mentoring service again we can discuss the best options to suit you and agree on the cost. No contract is made as we believe in being as flexible as possible to suit your needs. Trust and confidentiality is paramount to the success of our relationship. Anyone helping you with your business such as the bank, accountant or solicitor is put in a position of trust and I work to that same level.